United States economic growth in 2018: Who's afraid of the big bad wolves? 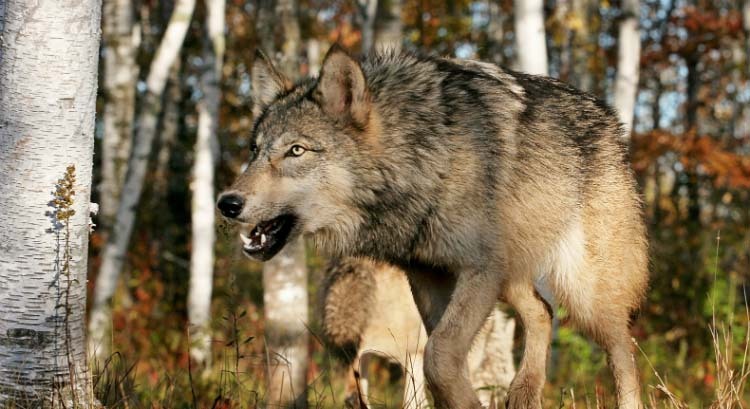 UMB Blog » Economy » Who’s afraid of the big bad wolves? We believe that United States economic growth in 2018 has fundamentals that are solidly grounded on a brick foundation, and, at least in 2018, we do not need to be afraid of the big bad wolves. Yet, going forward, it will be paramount to distinguish between events that are nothing more than sheep in wolves’ clothing and concerning ones that are wolves in sheep’s clothing. These potential threats or events create a short-term disturbance in economic data, and the financial markets, yet they don’t materially or sustainably change the underlying fundamentals. Hurricanes Harvey and Irma hit the U.S. in August and September, respectively. We know intuitively, and by reviewing historic evidence, that weather events like snowstorms and hurricanes cause a temporary negative impact to the labor market and the economy. However, if Hurricane Katrina in 2005 and Sandy in 2012 are our guides, any negative impact on the economy will be muted when the rebuilding effort begins. Second quarter real GDP posted a robust 3.1 percent. The momentum continued into the third quarter with 3.2 percent growth, and we expect fourth quarter GDP to advance well over 3.0 percent. Military threats and terrorism have also proved to be temporary disrupters of economic and market momentum. In August 1990, Iraq invaded Kuwait and the U.S. stock market went down. Desert Storm began in January 1991, and by July the U.S. stock market was up approximately 12 percent. Charlottesville and the NFL protests, both capable of shaking consumer confidence, have had little impact on economic data or the stock market. Consumer confidence remains resilient. This data is critical since the consumer constitutes 69 percent of the economy. When we feel good, we consume, and the confidence data remains close to a 17-year high. This level of confidence suggests annualized real consumption growth in the area of 4.0 percent, which supports GDP growth north of 3.0 percent. Interest rates and the Federal Reserve (the Fed) have both been sheepish since the Great Recession, meaning the Fed has kept interest rates low over the past eight years. However, historically, the Fed has been blamed for ending the economic cycle by making a policy error or hiking rates too fast. Slightly tighter monetary policy over the past year and higher interest rates are not currently slowing economic growth, which means we may not see the disruptions we have in the past, but we will keep our eye on this in 2018. Even as the Fed expects to continue to modestly raise rates over the next 18 months, strength in global economic activity will be the primary driver. The president recently nominated Jerome Powell as the new Federal Open Market Committee (FOMC) chairperson to succeed Janet Yellen in February. If this nomination is confirmed, we don’t expect any disruption to the Fed’s carefully-laid plan to gently move interest rates higher. One significant economic wolf is the threat of the economic cycle ending or a recession. Clearly, recessions are not good for economic activity and financial markets. The current economic cycle is becoming one of the longest expansions in history. The average expansion over the last 70 years has been five years, and we are approaching year nine. The longest expansion was 10 years from 1991 to 2001. The good news is virtually all the data suggests that a recession is at least 18 to 24 months away. In addition, economic growth since the Great Recession has been more moderate than growth in past expansions, earning the label The Great Moderation. Because of this, the current expansion could be the longest in history. Empirical evidence suggests that economic indicators or signals focused on economic growth, confidence, and profits provide insight into stock market returns, while indicators focused on potential “big bad wolves,” such as policy uncertainty or geopolitical risk, provide little, if any, guidance on economic conditions or equity returns. A significant driver of consumer confidence is the labor market. Even with all these “big bad wolves” lurking in the economy, labor market conditions are exceptionally tight. Today the number of people who are unemployed per job opening is close to a record low: 1.1, a ratio we haven’t seen in 18 years. In addition, small firms are reporting difficulties filling open positions, which leads us to believe that the unemployment rate, 4.1 percent, will continue to fall and wage inflation will escalate. Earnings growth continue to be impressive. In 2017 revenue and earnings grew five percent and 15 percent respectively. This year, due to improving economic fundamentals, synchronized global growth, low interest rates and tax reform, we expect another year of corporate revenue and earnings growth. Political narratives at present seem to indicate that fiscal stimulus could be an upside risk to our forecast. Tax reform will moderately benefit the economy, but will give corporate earnings a material boost. This will support consumer confidence and allow capital expenditures to improve–all supporting favorable GDP growth over the next 12 months. Virtually all the economic variables that focus on economic growth, profits and confidence suggest a brick house economy. We are experiencing synchronized global growth, including economic data suggesting improved growth out of Europe and China, two significant economies. Given the strong readings in numerous economic indicators, we expect U.S. economic growth to be between 2.5 percent and 2.9 percent in 2018, a marked improvement. Earnings drive stock prices. Current stock prices are supported by positive revenue and earnings growth over the past four quarters. We expect 2018 revenue growth to be up five percent and earnings growth to be eight to 12 percent. With tax reform, earnings growth could be in the 12 to 15 percent range. Our 2018 year-end S&P 500 target is 3000, a 12 to 14 percent total return. We expect interest rates to drift slowly higher through 2018 as the economy experiences an ongoing period of improvement. We anticipate that Fed Funds will be close to 2.0 percent, and the 10-year Treasury yield will be around 3.25 percent by the end of 2018. The huffing and puffing of “big bad wolves” isn’t uncommon in economic cycles. However, the current data signals a robust economy for at least the next 12 to 18 months. This environment will be positive for both corporate earnings and risk-based assets and allow the Fed to raise interest rates on a modest trajectory.